Here is a useful accessory for your MacBook, the BookArc Stand that lets you turn your MacBook into a desktop. 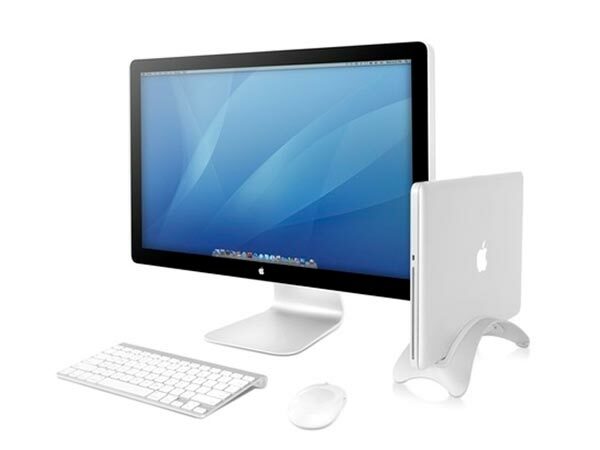 Ideal for all the MacBook users who use an additional monitor with their MacBook, the BookArc stand holds your Macbook in a vertical position with the screen closed, and it will work with the MacBook Air and all MacBooks up to the 17 inch version. 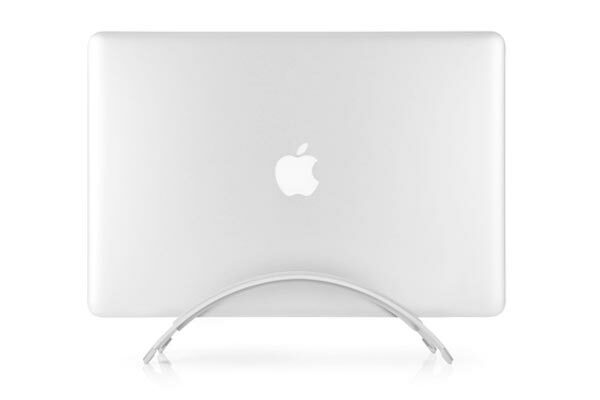 If you want one of these BookArc MacBook Stands they are available for $49.99 from Twelve South.